It’s time to visit a real luxury estate, now. 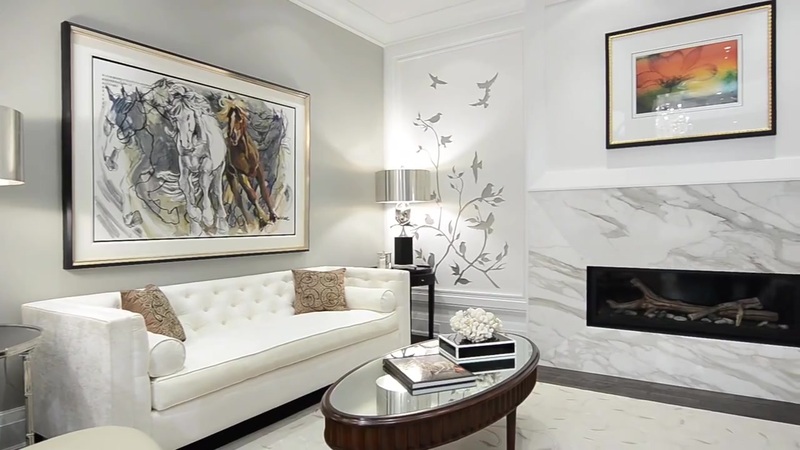 Through this photo gallery, we will have a virtual tour of a $7 million Canadian home. We will try to understand the design solutions that makes this mansion so beautiful and valued in order to better understand the world of luxury and its values. 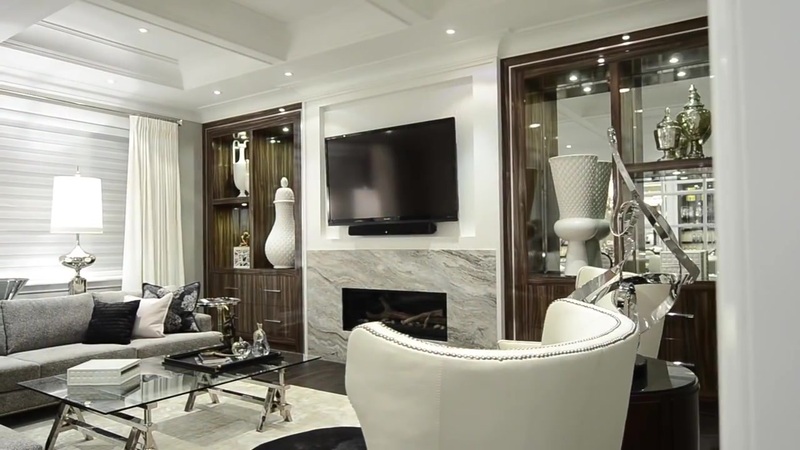 This home was designed by our friends at FDM Designs. A luxury estate must not necessarily be a castle or a majestic (but monotonous) building. 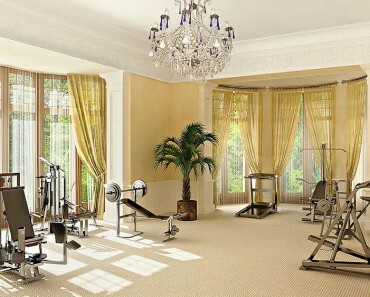 On the contrary, luxury mansions are often airy and light. In our example, the utilization of classical elements combines with the smart layout of the volumes in order to create a feeling of pleasant variety that intrigues and seduces visitors at first sight. Luxury estates must be functional and beautiful. 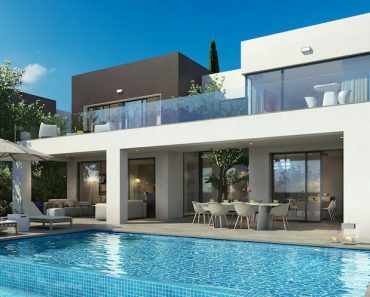 Here, the spacious porch opens into a nice garden with the typical swimming pool placed right in the middle. In this way it is created an environment that is suitable to host both big parties and intimate dinners with friends. Going inside this luxury estate, everything changes suddenly. We leave the familiar and relaxing ambience of the porch to enter a huge space where the skilful utilization of a palette of white and grey combined with white marbles and classical decorations gives to visitors an impression of seriousness and formality . The detail of this resting room reveals other interesting features of the design of the inside of the mansion. The big, linear fireplace adds a touch of intimacy and cosiness to the serious atmosphere of the room, while guests may sit down on the two long and comfortable couch set along the wall. We have reached a living room, now. The layout of the room utilizes a staggered level in order to better organize space and generate a feeling of variety. The pop art posters are harmonized with the classicism of the furniture thanks to the utilization of the same palette of colours. Notice the complicated curvy shapes of the huge sofa on the foreground that adds a touch of further dynamism to the whole composition. 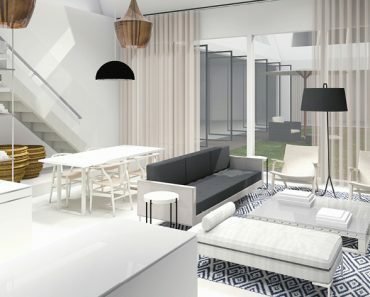 Again a living room, but its concept is totally different from the previous one. The room is nearly empty, as the furniture is reduced to the table in the mid and its chairs. But a new colour (red) has been added to the palette. Vivid yet elegant, red reinforces the impression of being ambling through a luxury estate in this design. In this detail, we can observe how materials, shapes and layout interact in order to generate the posh ambience of any real luxury estate. 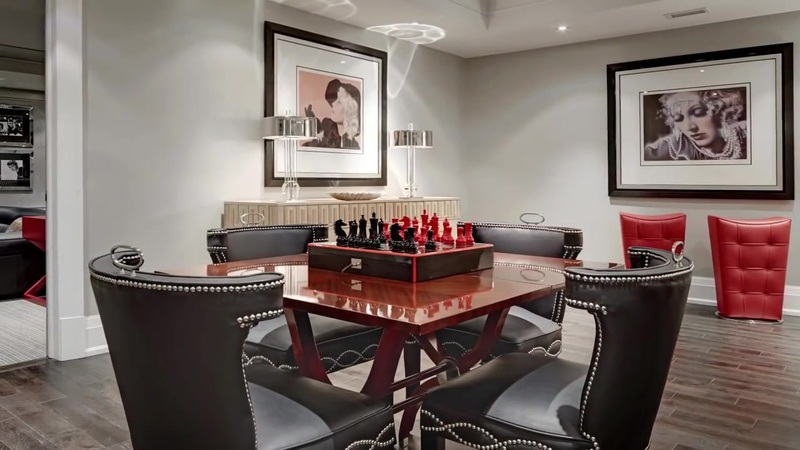 Classical style pieces of furniture (like the table and the statue) have been masterfully set near modern furniture (the chandelier, the pop art poster, the irregularly shaped tool, the couch) in order to give a sense of variety and dynamism and break monotony. Again a big change of mood in this combined space that goes back to the informal atmosphere of the porch. Great place where to spend time with friends, it is equipped with billiard table and comfortable cooking area composed of an island with electric hob and a counter with built-in sink, cabinets, and a small fridge. In the same combined space of above, but in a different zone. Here, the mood is again classical and serious thanks to the utilisation of the same repetitive palette of white and grey. Functionality is paramount, as the huge and comfortable couch in the foreground shows clearly. 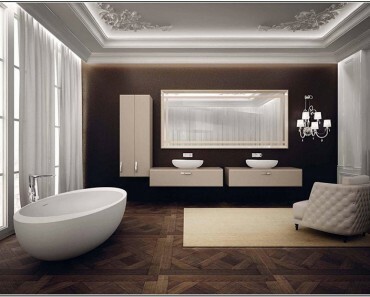 In a luxury estate worthy of the name, bathrooms are important and they cannot be trivial. 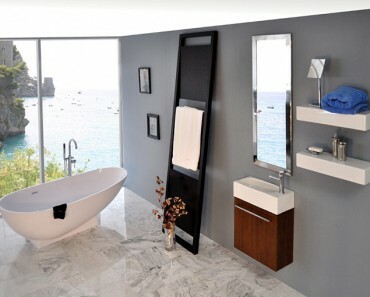 Here, the design utilizes emptiness in order to create a bathroom that is very spacious and airy. The pieces of furniture look small, unimportant, as they were lost in an infinite white space. Yet, comfort is great. Now, we see a detail of the wardrobe. The impressive set of cupboards and wall cabinets provides the inhabitants and guests of this luxury estate with all the space they wish, while the several mirrors placed here and there allow to check one’s look and add a further element of comfort. We have reached the sleeping rooms. The palette does not change; though it is still white and grey, dark grey is much more utilized. In this way these rooms are stylistically connected to the rest of the house, but in the same time also differentiated. The same room of before, but taken from a different prospective. A huge wall fireplace appears together with two big and comfortable armchairs where intimate guests and friends can sit down. Combined with the dark walnut floor, this creates an ambience that is warm and cosy. Now, we are going through a corridor. In the background, we see an atelier; on the right, the sleeping room we have just visited. The space is empty , but not bare, as the ceiling decorations, the two paintings on the wall, and the small wooden table on the right breaks its sense of monotony. We are still in the corridor of before, but in a different position. We see two interesting decorative elements on the right, a statue and two glass balls. They are placed on a mirrored countertop , which creates a pleasant optical illusion. This detail of the dining room shows two impressive wall wine racks. They are strategically positioned near the elegant wooden oval table surrounded by classical leather chairs that we see in the foreground. The dark walnut colour of the table and the floor perfectly pairs with the basic palette of dark grey and white that is utilized in the indoor spaces of the mansion. We are in the kitchen, now. This detail shows a wide built-in hob below a big extractor hood. 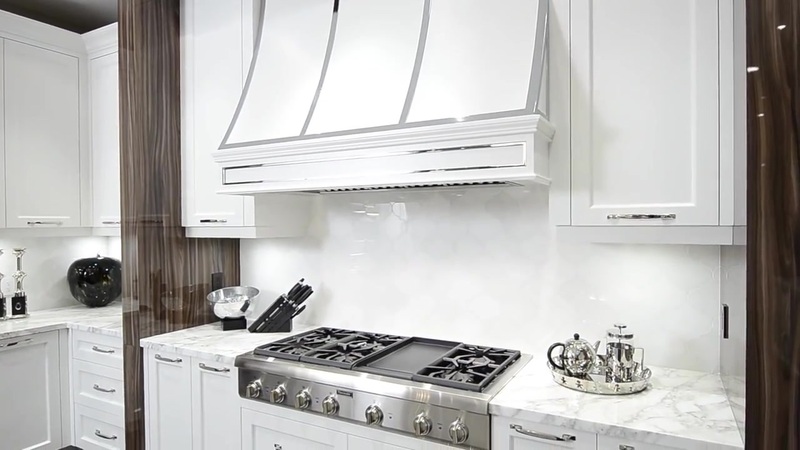 Cabinets and cupboards provide the chef with all the necessary space to store supplies and tools, while the practical marble countertop can be utilized as working surface. In this second detail of the kitchen, a long countertop with drop-in sink and a big table in white marble appear. 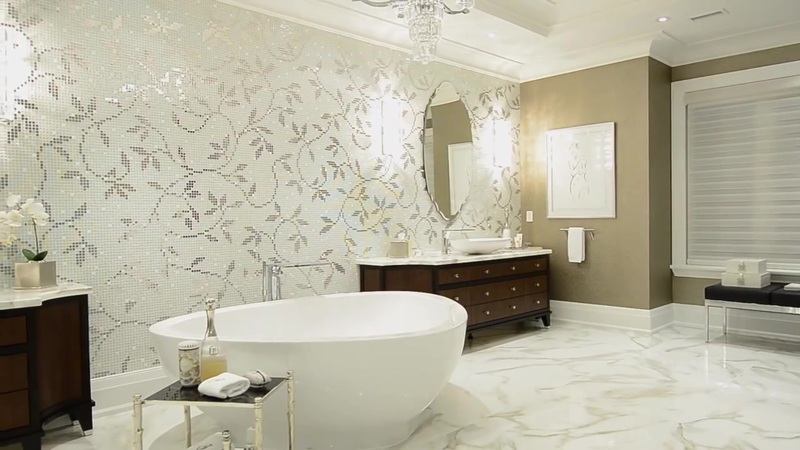 White marble is a posh material that is often utilized in luxury estate designs. Very resistant and hygienic, yet elegant, it is perfect for countertop and kitchen worktops and spashbacks. In this view we see the whole kitchen through its door that is made with two glass panels, like in every luxury estate that is worth its name. Glass is very utilized in the world of luxury because this material adds a touch of sophistication and beauty to almost every indoor environment. Another dining room with a posh glass table surrounded by a set of chairs covered with white leather. Leather is expensive, it adds a touch of snobby elegance to any piece of furniture. Thus, it is perfect in a luxury estate. Notice the carpet, and its abstract design that recalls the colour of the palette of the indoor environments of this mansion. We are in the living room, where a scenic fireplace with a minimalist mantelpiece in white marble gets immediately our attention. Elegant armchairs covered with white leather, wooden cupboards full of arcane objects, a comfortable couch and the lighting with halogen lamps create an ambience that is cosy and posh at the same time. Again in the corridor, but our visit is going to finish. Before leaving this beautiful luxury estate, we notice a cabinet covered with glass panel on the right side. Statues, paintings and floral decorations embellish the corridor, while the floor is tiled with polished white marble. I hope that you have enjoyed this virtual trip.